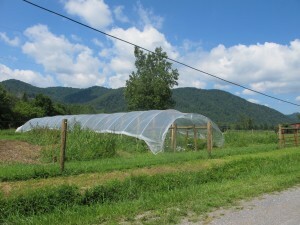 A “high tunnel” greenhouse is essentially heavyduty plastic sheeting stretched over a frame shaped like half a tunnel. High tunnels cost less than traditional greenhouses, but they work well too. 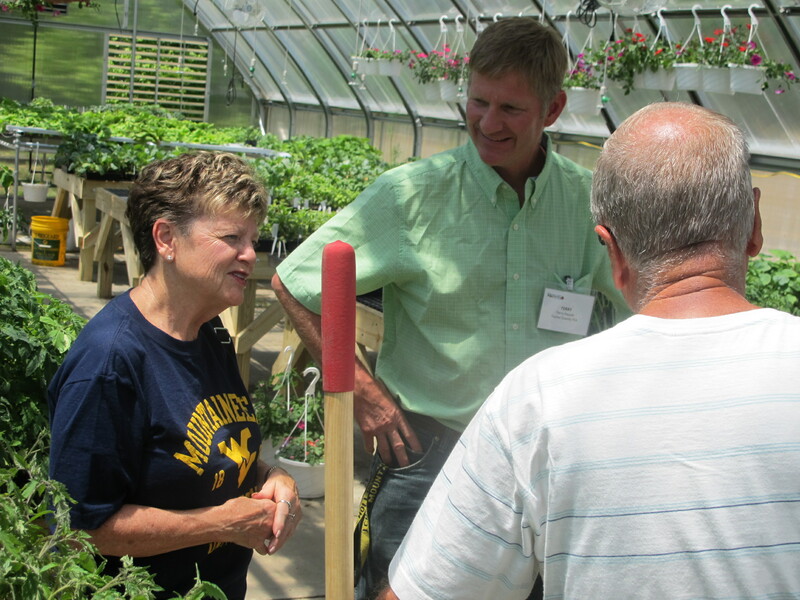 Tucker County High School has three greenhouses, one a high tunnel. In the spring, students raise the salad for the school cafeteria, plus local restaurants. Local people stop and buy vegetable seedlings the students grow. He encourages students who want to grow food as a business. “We’re building a business component into the program, and the program give students a built-in lab,” he said. A high tunnel greenhouse is comparatively easy to create, he said. He teaches students to build an effective temporary high tunnel with little more than tubing and plastic sheeting. 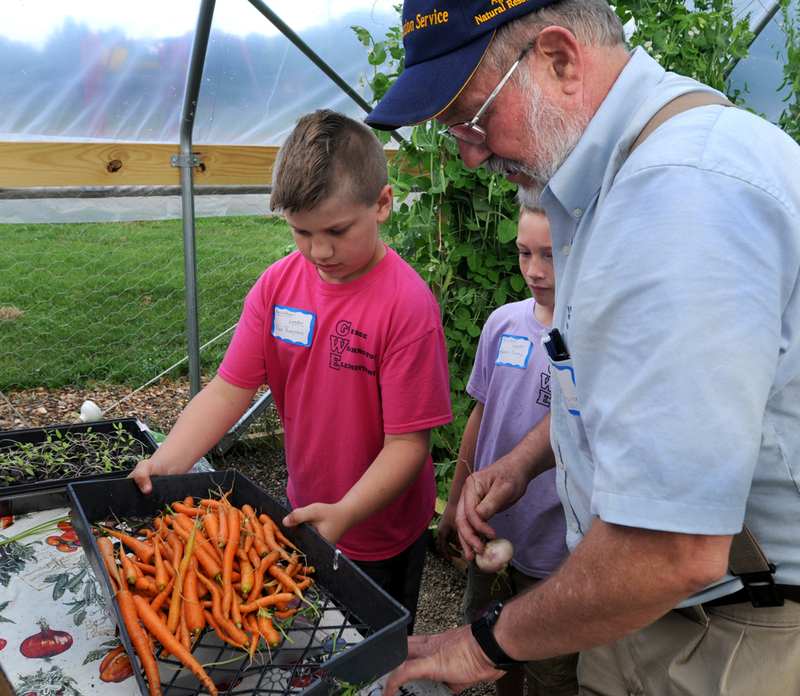 For the past few years, several students have made thousands of dollars in summer, raising vegetables in fields and high tunnels, then selling at farmers markets and through the Farm to School program. A high tunnel for school or home will cost as little as $2,000 or as much as $10,000, depending on the size, the amount of volunteer labor, and the extras. 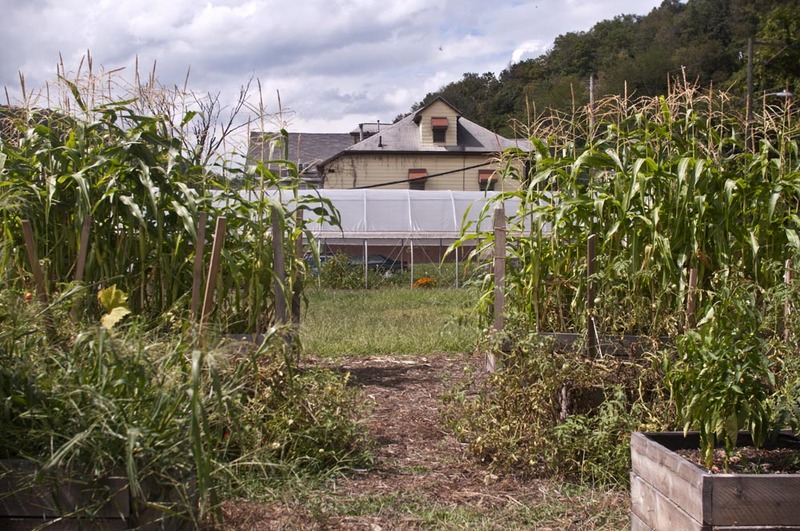 One of three community greenhouses in Williamson feeds the city farmers market. Photo courtesy Mingo County Diabetes Coaltion. 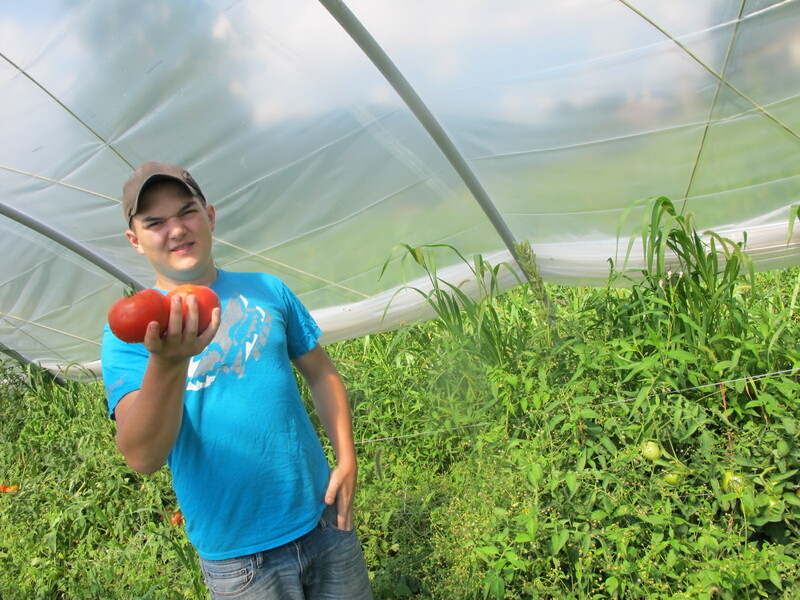 High tunnel in the community: A community high tunnel can feed other community projects: In Williamson, Southern Community and Technical Community College students helped put up two high tunnels across from the Williamson senior citizen high rise, next to the community garden. The high tunnels help feed the farmers market year-round. 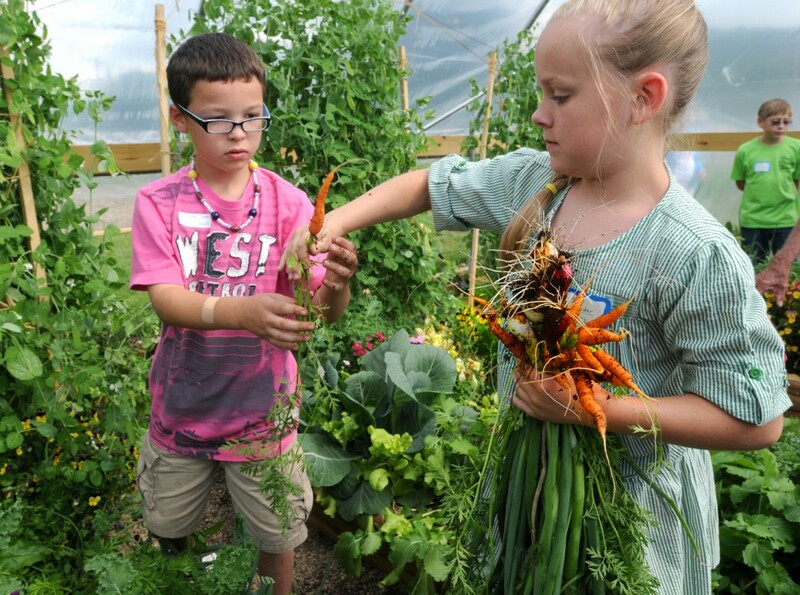 Want to explore ways your school and/or community might use a hightunnel greenhouse? Type “how to build a high tunnel” into a search engine and choose from all the plans that pop up. 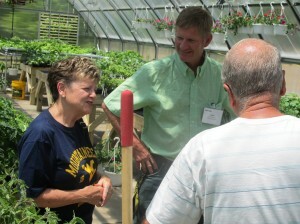 Visit a school or community high tunnel program. Ask your extension agent to locate a nearly program. 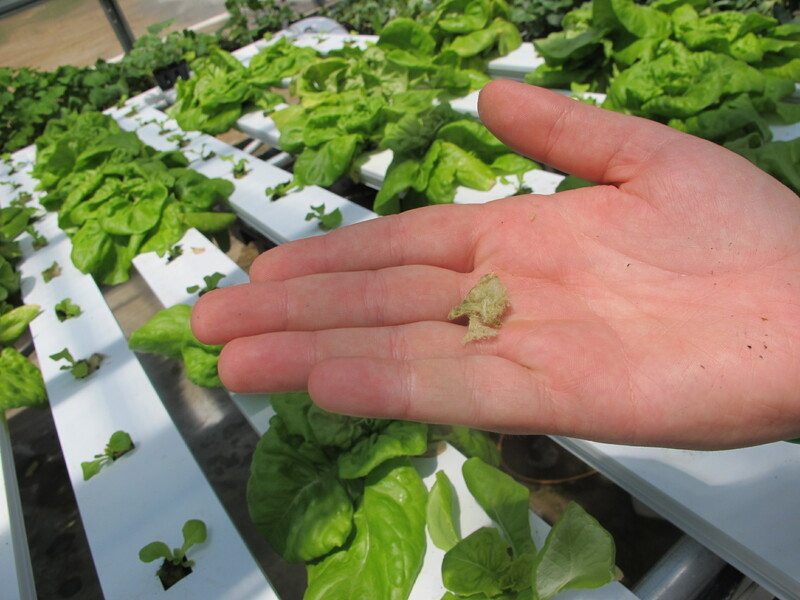 In Hampshire County Schools,horticulture teachers used no-circulation aquaculture to grow lettuce and a wide variety of vegetables on floating Styrofoam strips. Read about a Barbour County farmer who increased his income and sales by building a high tunnel and selling to a farmers’ market.